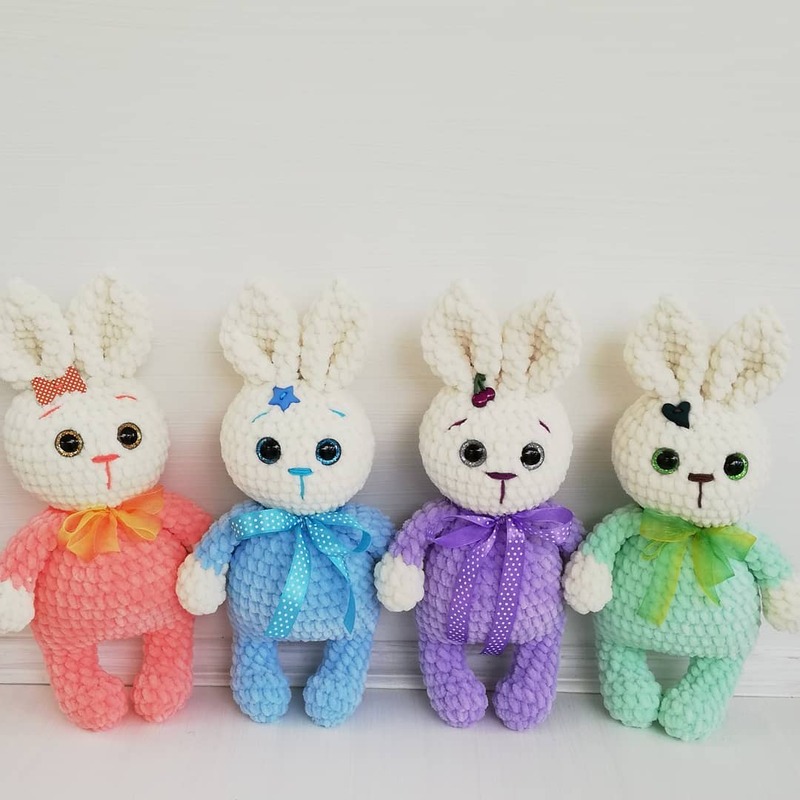 Get free amigurumi pattern to crochet sweet bunnies in colored overalls. 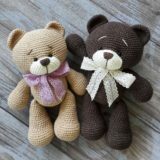 The height of finished amigurumi plush bunny is about 25-30 cm (9.8-11.8″) with ears. 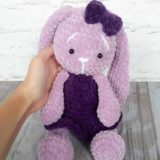 The head, ears, body and legs of this amigurumi bunny are crocheted as one piece. 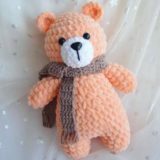 Arms are joined to the body in the course of crocheting. Continue crocheting the body, joining the legs. Crochet 1 ch from the right leg and join it with the left leg. In the next row we will join arms. Divide the head in two parts with stitch marker (each part consists of 12 st). 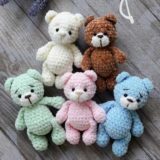 Join the yarn between the ears and crochet the second ear on the rest 12 st of the head in the same way. 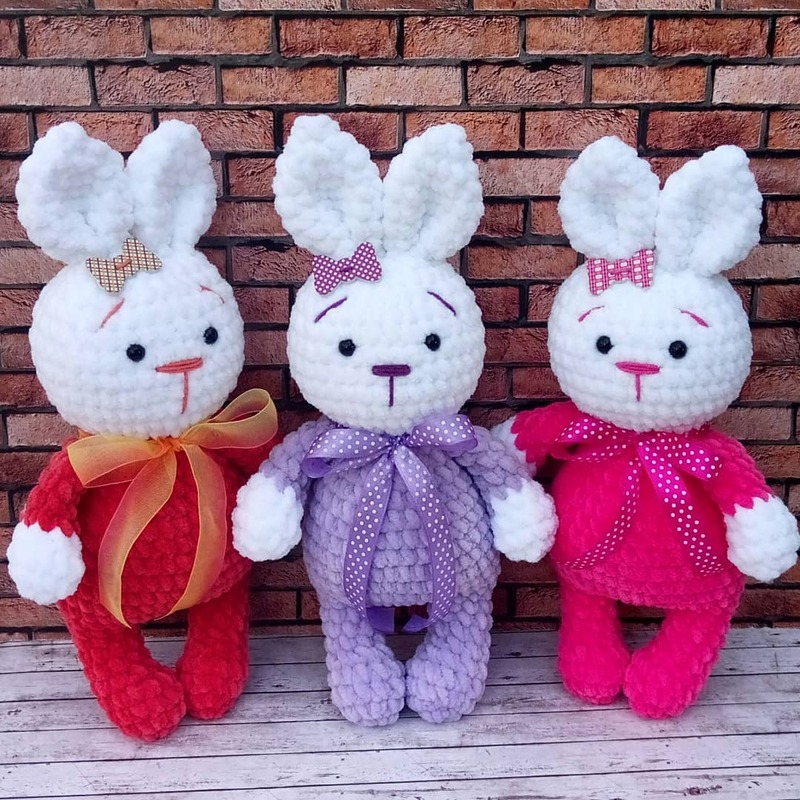 I would like to make this crochet bunny amigurumi but the pattern seems incomplete. There is no instructions on where to place the eyes or the embroidery of nose and mouth. Is there a possibility of getting the information from somewhere?